Why rent when you can buy for less than your rent payment! 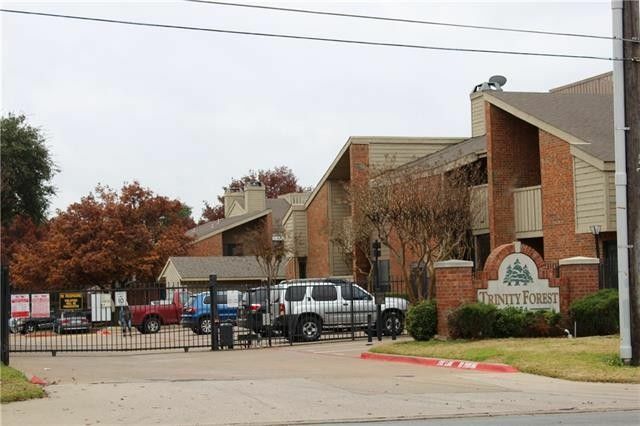 This first floor condo in Richardson School District is a 1 bedroom 1 bathroom with 2 living area, covered parking in a gated complex. It comes with all appliances including refrigerator, washer and dryer. Check out the new wood floor and ceramic tiles floors thru out the unit with a new fresh paint. The monthly HOA fee covers water and trash and the exterior maintenance including the Roof. Let us know what we can do to make this yours.